Dramatic Cantata for soprano, high counter-tenor/mezzo-soprano and baritone soloists with piano. Have you performed in this work or come to watch? Please share below! 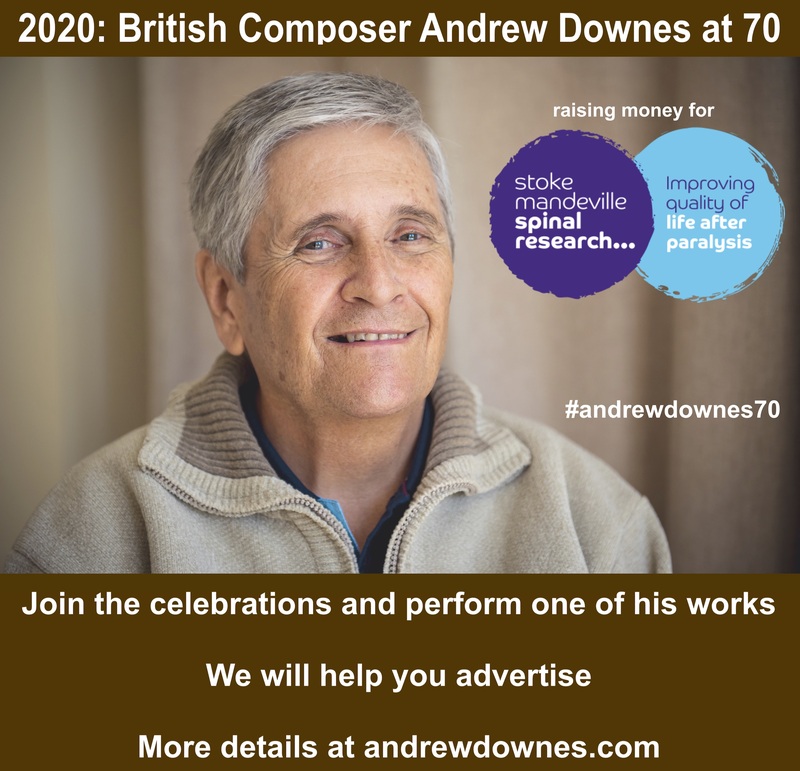 In 1979 Andrew was commissioned to compose a work for the 200th anniversary of St.Paul's Church, Hockley, in Birmingham. Andrew chose to set the story of Goliath, but from the point of view of Goliath, not the triumph of David. He asked my help with the story line. I suggested that the Philistine, Goliath, should be past his prime and worried that eventually some younger, fitter Jew would accept his challenge for a duel. I suggested that he should be married with a family, to add poignancy to the Goliath tragedy. I wrote out a libretto, not realising the economy of words required when setting music. 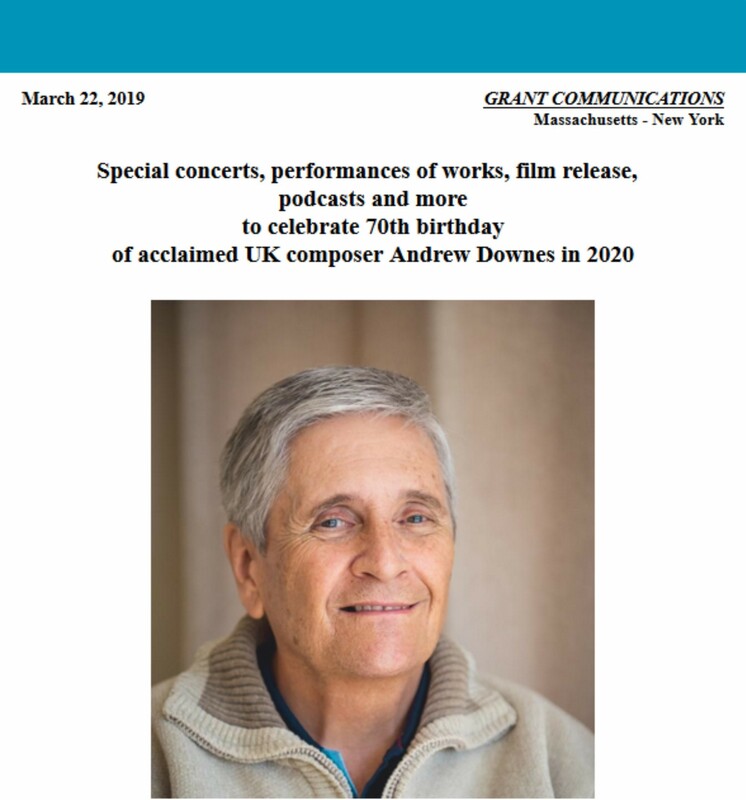 Andrew brilliantly extracted the salient features of my libretto and created an extremely dramatic, moving and tightly knit structure with heart rending music. I made the costumes from calico, with parts of the outfits died brown, and also using an old light green linen coat. I used leather for tassles and wooden beads for decoration. Then we needed a Goliath's head! I created one with wire and paper mache. I then painted on features to look like Michael Dowding, who was going to sing the role. For the hair and beard I unravelled an old brown knitted pullover, and stuck the wool in the appropropriate places. 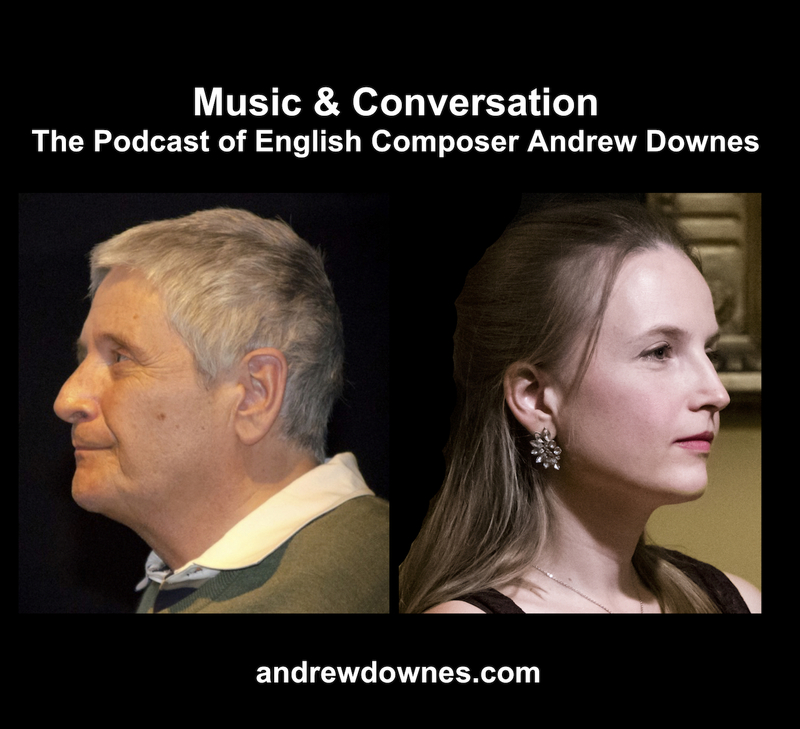 The cantata was first performed by superb soloists: Catherine James as wife of Goliath, Michael Dowding as Goliath, Andrew Downes as David, and Malcolm Wilson, piano, on January 10th 1979 in the recital hall of Birmingham Conservatoire. Just before the performance, Malcolm Wilson told me his mum would be coming on the bus from Walsall. He said she would probably complain that the piece was not long enough for such a long journey! Sure enough, Mrs Wilson, who sat next to me, said at the end: "I did enjoy that. I could have done with a bit more though!" These same wonderful artists gave the second performance of the work in St. Paul's Church, Hockley, on June 9th 1979, as part of St Paul's Bicentenary Week. (The Church was consecrated in June 1779). This performance was recorded for BBC Radio Birmingham and broadcast on June 11th 1979 and again on September 3rd 1979. This work has since been performed by student groups from Birmingham Conservatoire, including the Centurion Opera Group in Redcar, Yorkshire, in September 1981. 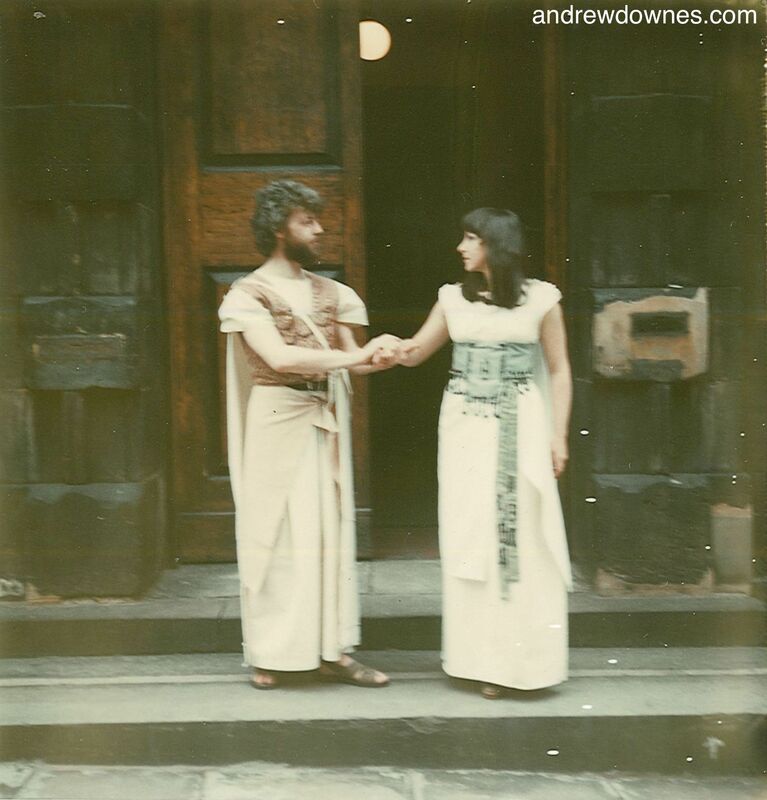 I look forward to when our daughter, Paula, takes on the role of Goliath's wife in a production one day!..